SMIC Academy is a church school which started in 1997 to help Alabama homeschooling families satisfy our state laws on compulsory attendance (§16-28). Our full name is Shades Mountain Independent Church Academy. SMIC Academy is a board-operated school with contract employees under the supervision of SMCC pastoral staff. As a church school, SMIC Academy oversees off-campus classes conducted by its faculty (parents). Our board and staff provide oversight and accountability in an organized and legal framework to parents who wish to take responsibility for either directly executing or coordinating their children’s education. Please read more about what we offer and what we require. We limit our enrollment to a maximum of about 90 families. 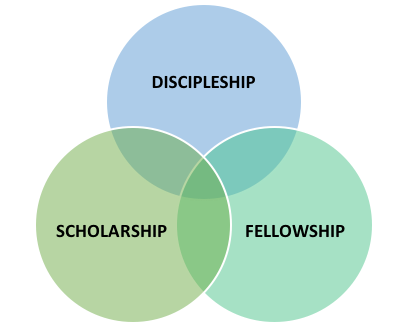 Aside from accountability, our priorities for this ministry are Discipleship, Scholarship, and Fellowship. Each of these are important in the upbuilding of our families, and each facet can serve to grow our families in the other two facets. Premiers is our support group ministry, with a focus on the early years (K4-3rd grade). Premiers is for any family just beginning home education, or for those who want to take the first steps toward being directly involved in their children's education. Our primary purposes are to provide information relative to home education issues and to provide encouragement and practical help. One of the blessings of being in Premiers is being connected with a mentor called a Resource Mom. She will point you to educational and spiritual resources and provide personal encouragement during these years when you may be uncertain or intimidated by the homeschooling and parenting endeavors. Each monthly meeting will have a topic in the field of early childhood education, managing a home, or teaching and training children. Speakers are veteran homeschool moms or professionals in their fields. Field trips and play dates help moms connect and provide hands-on educational opportunities for the young child. Enrollment is May 1 - August 1, and limited to 50 families. Visitors are welcome to attend most of our meetings for a small fee. Membership is $35-70 depending on the age of your children and your membership in SMIC Academy. "We exist to glorify God by loving our community through proclaiming the Word of God."